Cincinnati Reds legend Pete Rose has been given the green light to appear on the field with the other Cincy greats during this year’s All-Star Game festivities at Great American Ball Park. He also hopes to meet the new commissioner about a renewed relationship with Major League Baseball sometime in the near future, reports say. 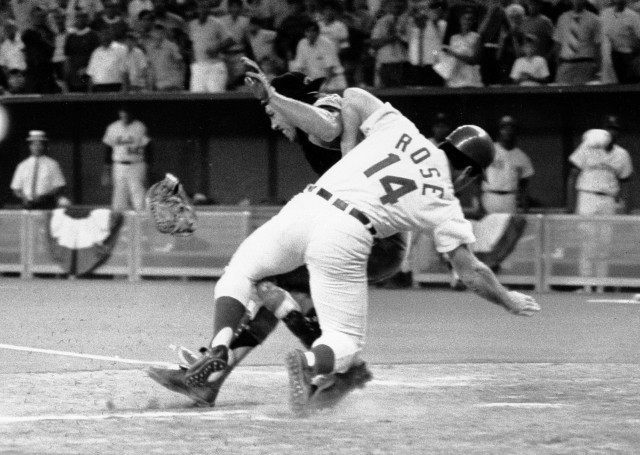 After fans voted Rose in as one of Cincinnati’s four best players, Commissioner Rob Manfred gave “Charlie Hustle” the okay to appear with Johnny Bench, Barry Larkin, and Joe Morgan. The voting was a part of MLB’s “Franchise Four” contest in which fans picked the four best players for each of the league’s 30 teams. But Rose hopes that this year’s All-Star Game isn’t the end of his connection to MLB. The decades-long Reds player has said that he hopes to have a meeting with Commissioner Manfred to revisit his lifetime ban for gambling. Rose recently said that he doesn’t know if he stands a better chance at reinstatement under Manfred than he did under the recently departed MLB Commissioner Bud Selig, but he’s “open to almost anything” at this point. Rose, now a Fox Sports analyst, was banned in 1989 after charges were leveled against him that he gambled while a coach. Rose finally admitted to the allegations in 2004, but since his ban he hasn’t been eligible to be elected to the Baseball Hall of Fame despite holding multiple league records. But now Rose tells the media this week that he expects to meet with Manfred sometime after the All-Star game.